Philadelphia’s diverse and growing theatre community. They are committed to leading efforts that grow audiences and promote the public’s participation in theatre throughout the region, nurturing local theatre artists, fostering the creation of extraordinary work, and forging stronger connections between their art and audiences. 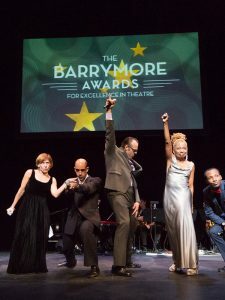 Theatre Philadelphia’s programs include the annual Barrymore Awards for Excellence in Theatre, Philly Theatre Week, the Theatre Philadelphia Industry Card, and additional programs that build audience awareness and growth. At Cherry Street Pier, Theatre Philadelphia will host public events showcasing theatrical artists and organizations from the region, host professional development events and industry mixers, and act as a hub for audiences to learn what’s happening on area stages.